Still thinking of where to go this year-end holiday? 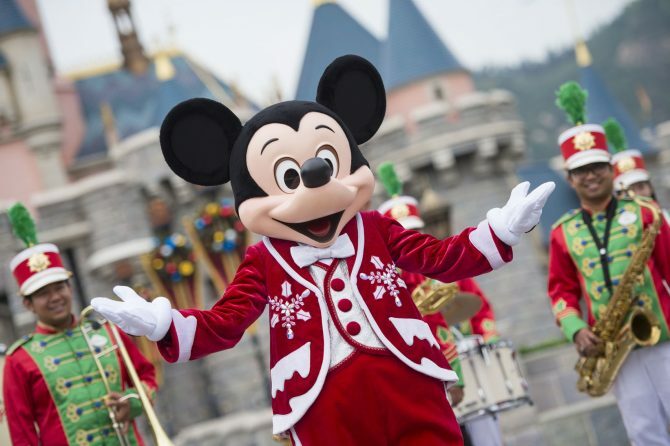 With Hong Kong Disneyland Resort a mere four-hour flight away from our shores, Christmas magic might be nearer than you’d imagine! From November 16 to January 1 2018, the resort will transform into a winter wonderland, with a series of activities to make all our Christmas wishes come true. Well, we’re not expecting any less from the being in the happiest place on Earth during the most wonderful time of the year! What’s Disneyland without its most enchanting performances for the young and young at heart? This year, a special Christmas performance called Mickey and Friends Christmastime Ball will take place two to three times a day in front of the park’s iconic castle, where Mickey and the whole Disney gang are set to make an appearance to ring in the holiday cheer! The 20-minute spectacular features uplifting Christmas jingles and exuberant dances, as well as a story revolving around Donald’s wish for the holiday. Join in the songs, you’ll know all the words!